With recipes for 40 of the Caribbean's classic and contemporary cocktails and 15 traditional snacks to accompany them, Rum Drinks provides a tropical taste vacation. 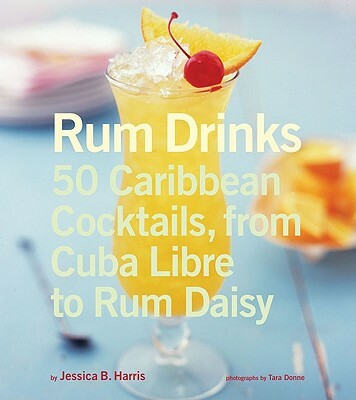 More than a cocktail book, Rum Drinks is your ultimate rum resource, including salty talesfrom a history of the sugar trade to the sparkly heydey of the Cuba Librean island-by-island listing of Caribbean rums, and a guide to great rum bars all over the world. Jessica B. Harris is a food and travel writer, culinary historian, and author of 9 cookbooks. She lives in Brooklyn, Martha's Vineyard, and New Orleans. Tara Donne is a food and travel photographer living in Brooklyn, New York.